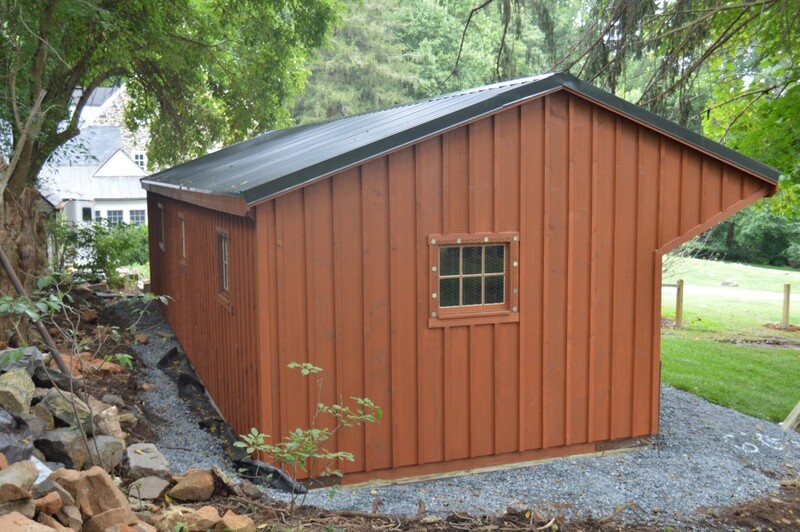 This is a 12’x40′ shed row barn with 4′ lean-to. This Wilmington, DE shed row barn with lean-to was built with white pine board and batten siding stained with cedar stain by Haley Paint Company. It has 3 pitch rafters and black metal roof. The windows are sliding wood barn sash windows manufactured by Bird-In-Hand Windows. 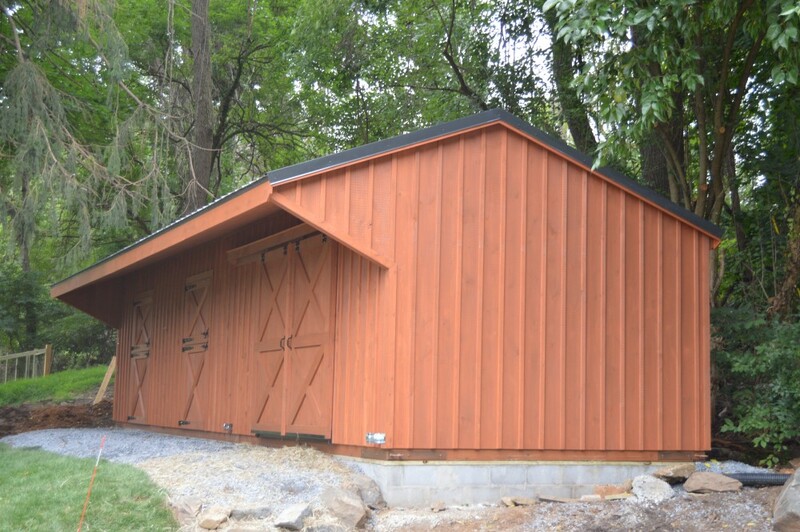 The 4’x7′ dutch doors are built by J&N Structures. 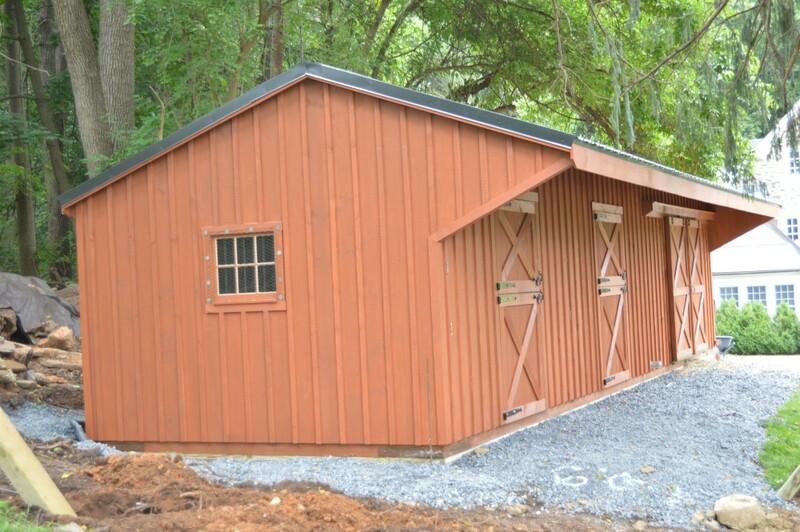 This shed row barn has (2) 12’x12′ stalls and a 12’x16′ storage room. The stalls have a dutch door and a window. 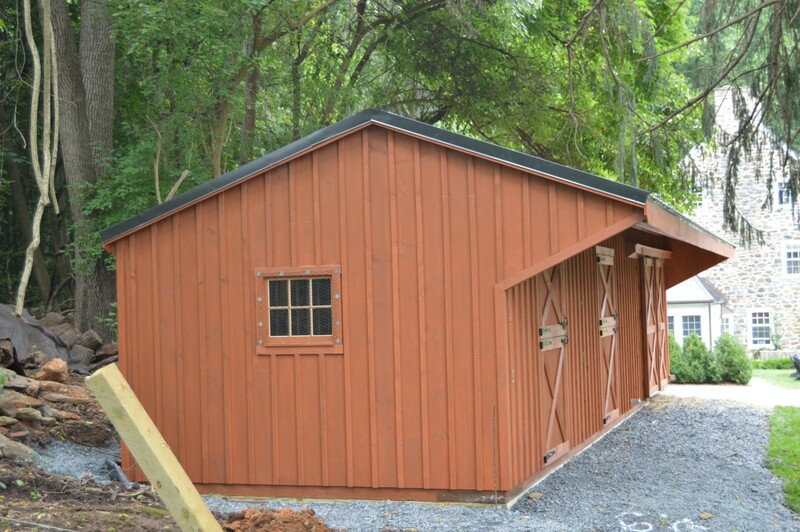 The storage room has (2) 52″x84″ sliding doors and a window . 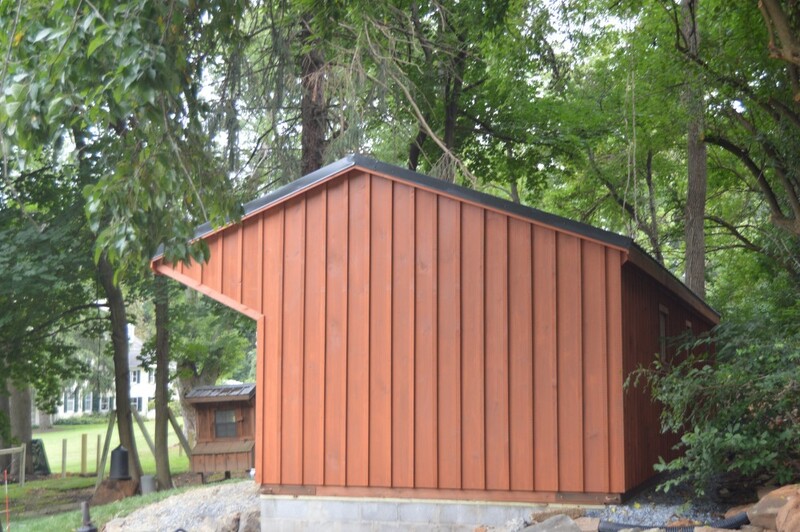 On one gable is an extra window.